As the school year rapidly draws to a close, many teachers are beginning the task of reporting student achievement. For some, there may be a scramble to collect assessment data, and often, due to a sense of panic, teachers revert to pen and paper testing to gain a snapshot of their students’ ability measured against syllabus outcomes…one of the main reasons students develop a dislike of mathematics in the first place. The purpose of this blog post is to ask you to consider using alternative assessment evidence, and in particular, consider taking advantage of some of the educational software tools you may already be using in your classroom. Regardless of what technological devices you use, if you do use technology in your mathematics lessons, chances are you already have some good assessment data that you can use in your reporting. Take, for example, the use of apps on an iPad or other mobile device. If your students are engaging in different apps to either build on their mathematical fluency (typically game-type apps) or to express mathematical reasoning and communication (with apps such as Explain Everything, Educreations or ShowMe), then it’s rather easy to collect evidence of learning. Some apps offer the affordance of being able to save student progress, and others simply require students to take a screen shot of their results. Educreations allows you to save files that record audio and written mathematics, allowing assessment of content and process outcomes. I recently conducted a research evaluation of the Matific suite of resources (access the research report here). One of Matific’s affordances is that it allows teachers to track student progress. It was perfect in a sense that we made it a point that we started at the middle and we went down for those who needed extra support, which was fabulous because they were still doing it visually, they were doing the exact same thing, and then we also gave the option that they could go up if they felt confident enough but at the same time visually, it was exactly the same for those kids that don’t want to be different, that maybe do need that little bit of extra support (Year 6 teacher). 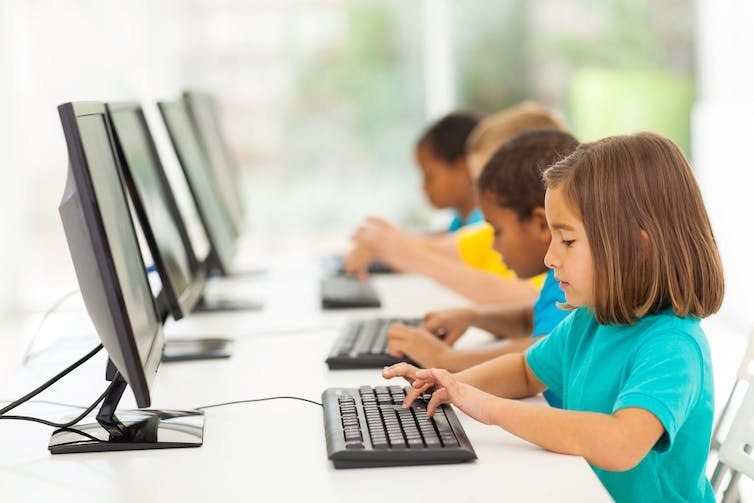 Data from students’ interactions with educational apps such as Matific, game apps and productivity apps can provide valuable formative and summative assessment data that can remove the anxiety associated with formal pen and paper testing, particularly during the primary years when it’s critical that we foster high levels of student engagement. Consider the apps you currently use – how can you collect evidence and use it to your advantage and the students’ advantage…and also save you time? Isn’t it better to spend class time on learning rather than testing?